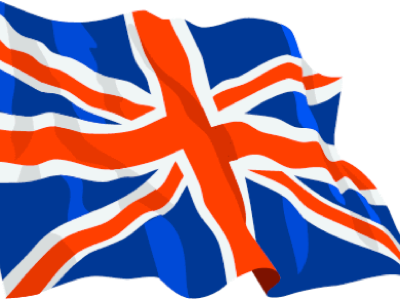 The UK’s national flag, often called the Union Jack¹, is made up of three flags—those of England, Scotland and Ireland. 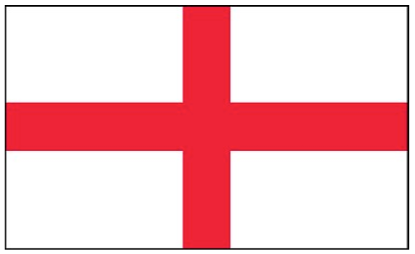 England‘s flag is that of St George (April 23rd), attributed to Richard 1 (the Lionheart) back in 1194 when he needed something for the crusades (list of packing to include flag). 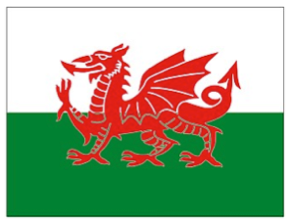 Wales was ignored and has largely continued to be ignored as a province of England—Henry VIII so ruled in 1536. The rules of heraldry say two (non-white) colours must not touch, so the new flag (April 1606) looked like this. 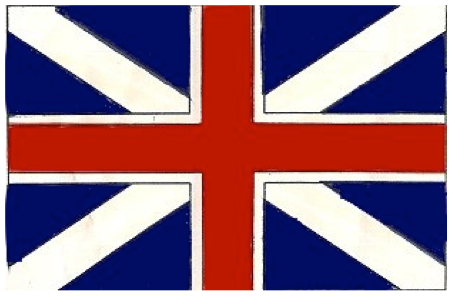 Queen Anne made this the national flag in 1707, as part of the Act of Union, which united the two parliaments, the United Kingdom of Great Britain. 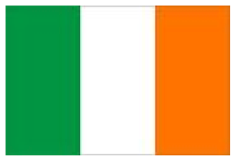 Ireland’s flag, is a red saltire on a white field, is the flag of St Patrick (17th March); Ireland was added to Great Britain in January 1801. 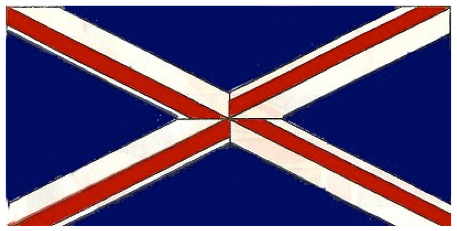 Adding the third flag is done so that the flag maintains rotational symmetry, with the added requirement that the Scottish element go higher (more honourably, meaning 1st). The white edging is maintained. 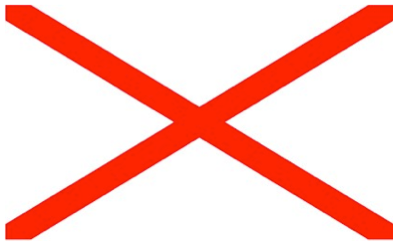 This is Eire’s flag, green nearest the pole. In 1921 Eire left “the UK of GB and Ireland” and we had the new designation “the United Kingdom of Great Britain and Northern Ireland”. The Irish War of Independence ran from March to July 1921 and treaty was made in December. 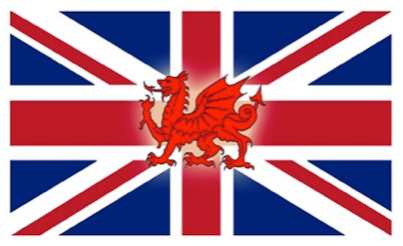 This is the proper Welsh flag on the left, and a suggested version of the union flag incorporating a Welsh element on the right. 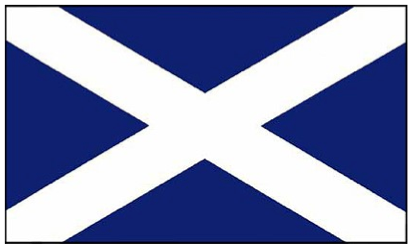 This repeats earlier flags to emphasise that it is the right way up, with the broader white bit of Scotland higher up the pole and the Irish red flying free. If you see the flag upside down it is wrong; it is an insult to the Commonwealth, it might mean Distress (Help!!). There are (too, too) many examples of the flag being shown incorrectly, and too many of those have famous faces associated in the picture. Clear failure of national education—I was taught this in the cub scouts (before my teens) and again in the Navy. Many countries include the Union in their own flags. Three of the Canadian provinces do (BC, Manitoba, Ontario), one of the US states (Hawai’i ²), both Australia and New Zealand have the Union Flag and different representations of the Southern Cross³ (Crux; NZ has four 5-point stars in red limned in white, Oz has five white stars (the same four as NZ in 7-point, plus one as 5-point, plus a bigger 7-point one, the Commonwealth Star, under the Jack. 7-points represent six federating colonies, plus future territories (Papua, at the time, 1953). Add to that list several Pacific territories, some now independent or differently administered: Anguilla, Bermuda, Caymans, Fiji, Montserrat, Niue, and Tuvalu (nine yellow stars). 1 Three versions of why the ‘Jack’—all may be true; jack after Jacobus / James, the same name given to the bowsprit flag position, and hence the jack staff. Some of this is circular argument; if Starkey (below) is right, the rest follows logically. “The Union Flag is commonly known as the Union Jack, although the exact origin of the name is unclear. One explanation is that it gets its name from the "jack staff" of naval vessels from which the original Union Flag was flown.” www.number-10.gov.uk Historian David Starkey said in [that] Channel 4 TV programme that the Union Flag is called 'Jack' because it is named after James l of Great Britain (Jacobus, Latin for James), who introduced the flag following his accession to the throne. 2 from Wikipedia (but in UK English): The flag of the state of Hawai’i (Hawaiian: Ka Hae Hawai’i) is the official standard symbolising Hawai’i as a U.S. state. The same flag had also previously been used by the kingdom, protectorate, republic, and territory of Hawai’i. It is the only U.S. state flag to feature the Union Flag of the United Kingdom, a holdover of the period in Hawaiian history when it was under the influence of the British Empire. 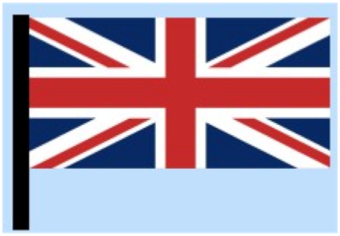 [Wikipedia continues, edited by DJS] The canton of the flag of Hawai’i contains the Union Flag of the United Kingdom, prominent over the top quarter closest to the flag mast [canton usually means top left corner, so this is repetition]. The field of the flag is composed of eight horizontal stripes symbolising the eight major islands (Hawai’i, O’ahu, Kaua’i, Kaho’olawe, Lana’i, Maui, Moloka’i and Ni’ihau). A ninth stripe was once included, representing the island of Nihoa. Other versions of the flag have only seven stripes, probably representing the islands with the exception of Kaho’olawe or Ni’ihau. The colour of the stripes, from the top down, follows the sequence: white, red, blue, white, red, blue, white, red. The colours were standardised in 1843, although other combinations have been seen [e.g. red/white stripes only] and are occasionally still used. 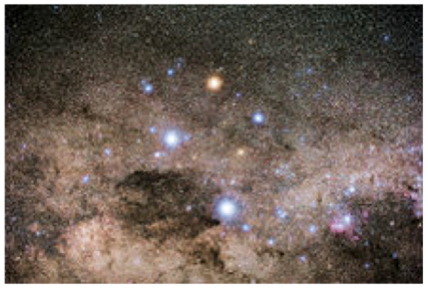 3 Picture of the Southern Cross, so you can see which stars to include. The five stars, spiralling clockwise from the bottom as they decrease in brightness, are Alpha, Beta, Gamma, Delta and Epsilon Crucis. Beta Centauri happens to be where the Commonwealth (also Federation) star fits, but is irrelevant. I think eventually Australia will lose the Jack and lift or magnify the Commonwealth Star in the left half of the flag. The Australian flag ought to have some green or gold in it, don’t you think? I made this as a pptx file first for use in school. Turning it back to one for your own purposes is okay with me—as long as you indicate from where the stuff came ! !